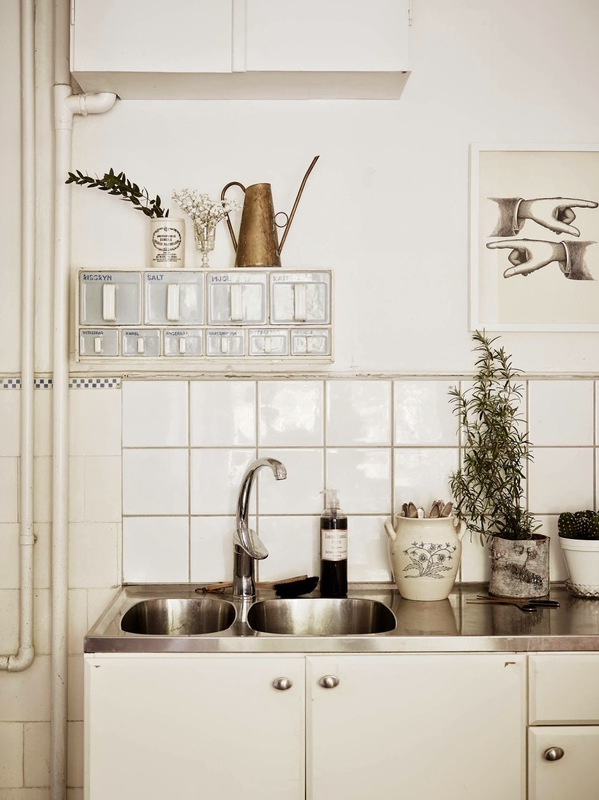 There's something very pretty and serene about this Gothenburg home. 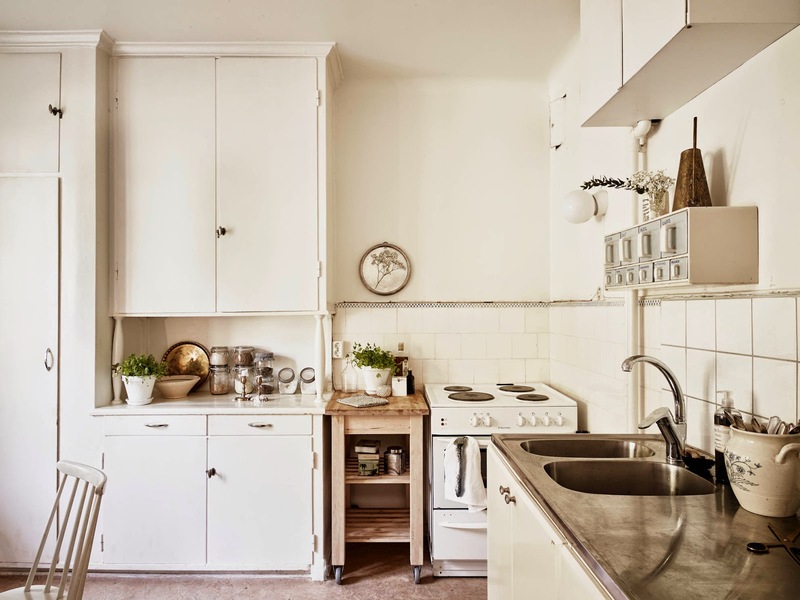 I'm not sure if it's the way it's been photographed, the calm white, cream and beige tones or the vintage touches or perhaps a combination of all three? But there's something about it that I really like. 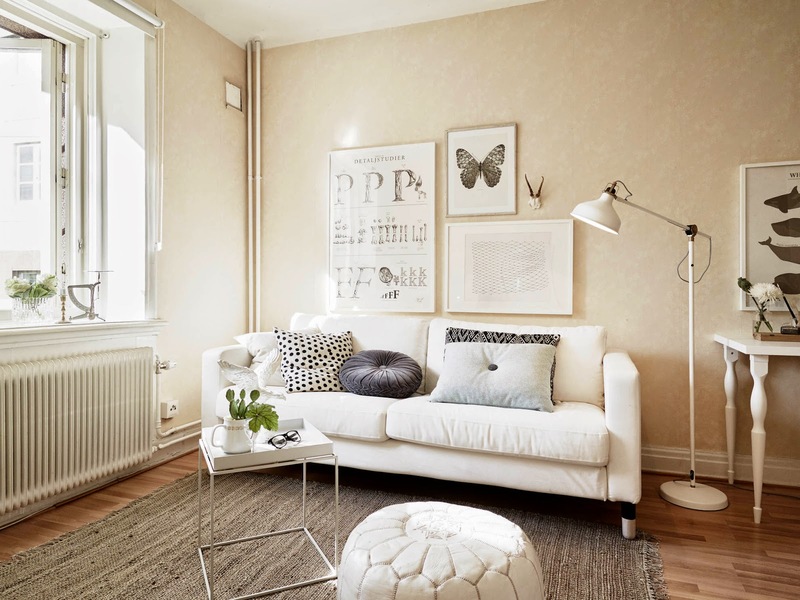 Have you noticed how cream / beige walls have made a bit of a come back this Autumn? 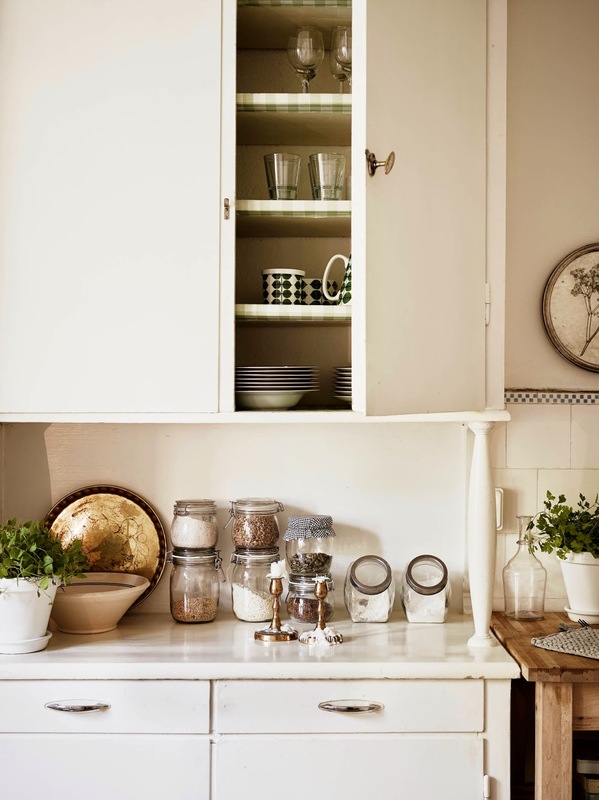 Although I'm more of a white wall kind of gal there's no denying beige adds a lovely element of warmth especially as it gets darker outside (the clocks go forward in a few weeks eeeek, let's not talk about it!). I could see myself padding around here, how about you?! Anything you love in particular about this home? I think the kitchen is really lovely. I've had a couple of questions about the print and after a little research pinned it down to the Insect Alphabet print / poster by Martin Lannering here. A big thank you to Grazia France who included my blog in a list of 'eight interior blogs to boost your apartment' (here), what an honour! Thank you for sharing this indeed very peaceful and warm place. I love the alphabet art in the 5th picture. Do you know who makes it? Oh thank you Niki! I am setting up my new home, almost from scratch, so now I only have to decide where this poster is going to land. I guess the living room where my kids also have their play (and reading learning) area will be just fine. 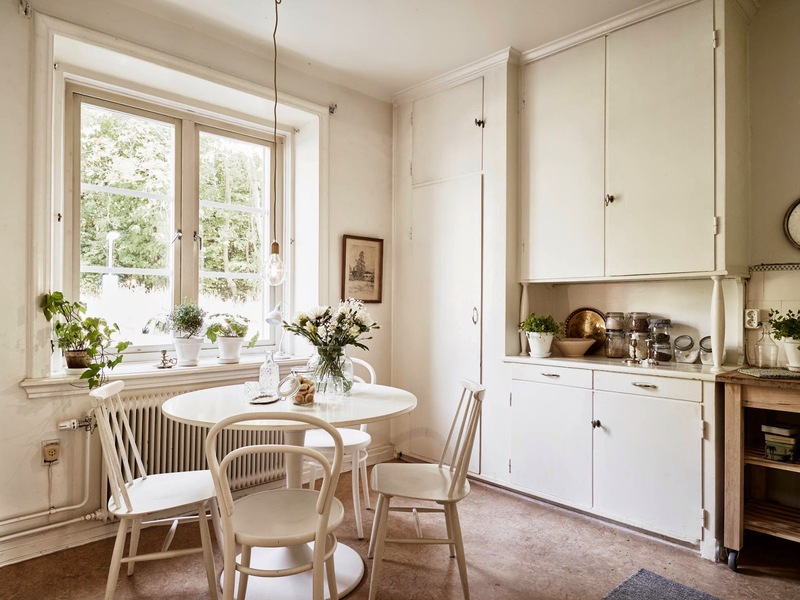 I definitely like the cream white walls, looks a lot more softer than pure white...especially in ou Nordic countries during dark winter months. The kitchen is lovely, and the bedroom looks calming and soft. Agreed, this apartment is beautiful! The different whites and creams layered on top of each other create a warm but simple look. 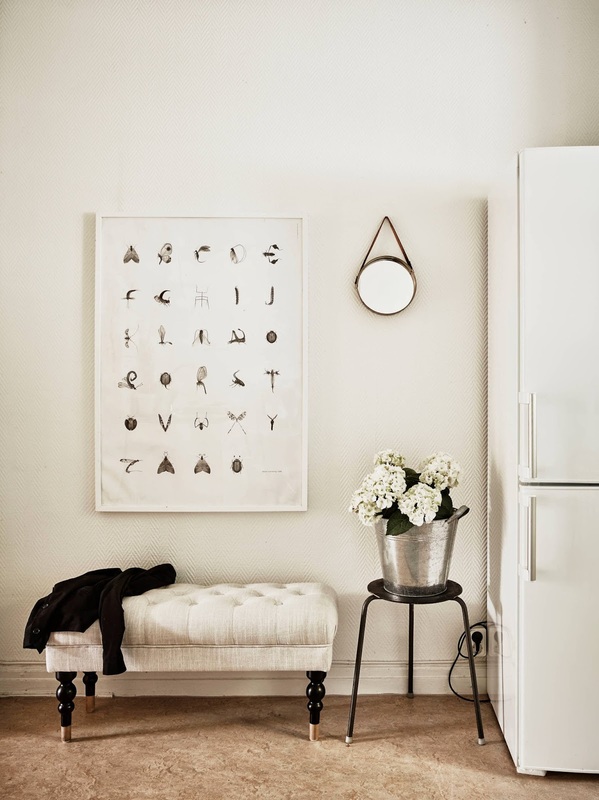 I also really like all the black and white art-work they have placed around the apartment, like the Insect Alphabet Print, as well as the other nature inspired prints. It brings a real earthy feel to the place. I could just see FeltBallRug.com's double white rug in this place! Don't you agree? Good option to vary both white. I love the whole flat sheets !!! Beautiful, and the epitome of Swedish elegance!